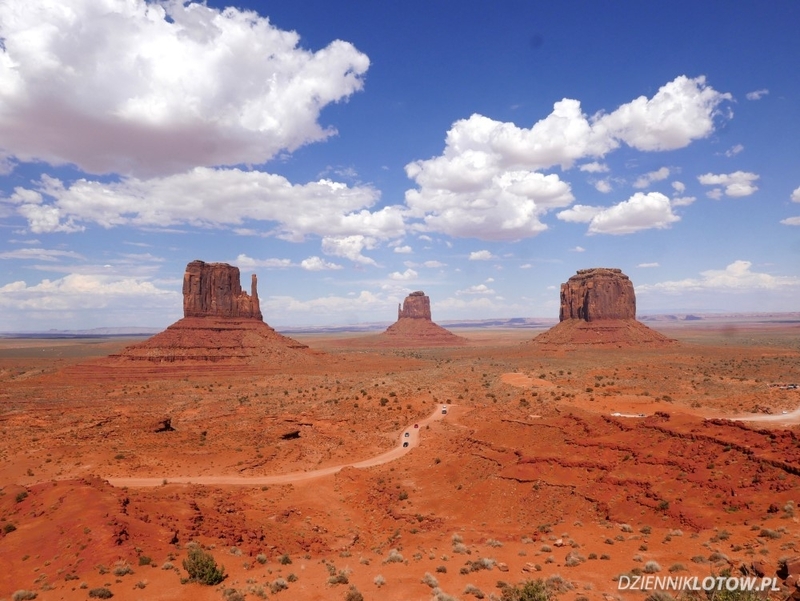 Today we want to provide some inspiration for those of you who are planning to spend several days around Las Vegas, visiting some famous natural wonders of USA across Arizona and Utah. Below you’ll find a sample itinerary for a 4-days long round trip. Be aware that this plan is intense, oriented at experiencing as much as possible in this region of US. 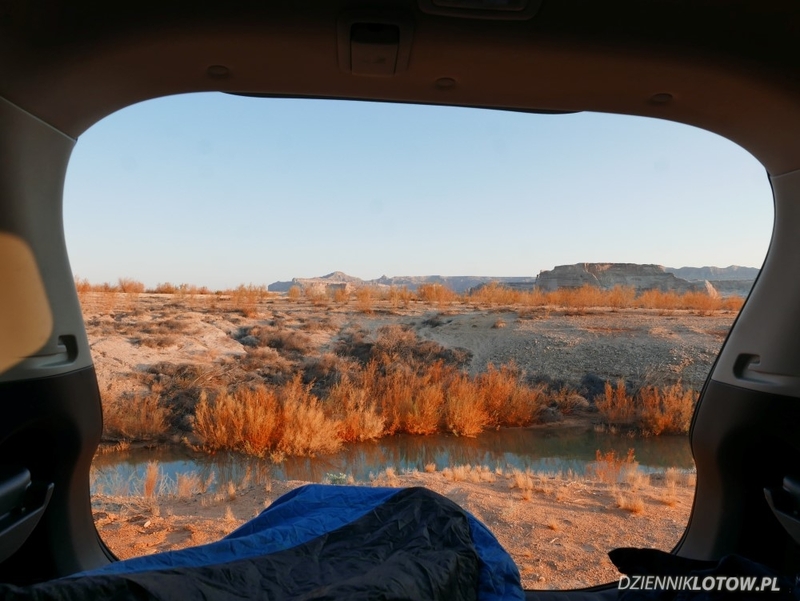 It requires a lot of driving on long distances and sleeping under the stars if required. Please treat this itinerary as an inspiration rather than actual, step-by-step guide. Feel free to modify it to suit your needs and traveling style best. Day 1 starts early morning in Las Vegas. In my case I arrived a day before and stayed 1 in Vegas directly after the flight. From LV I drove north to the Zion National Park, where I arrived around 11AM. 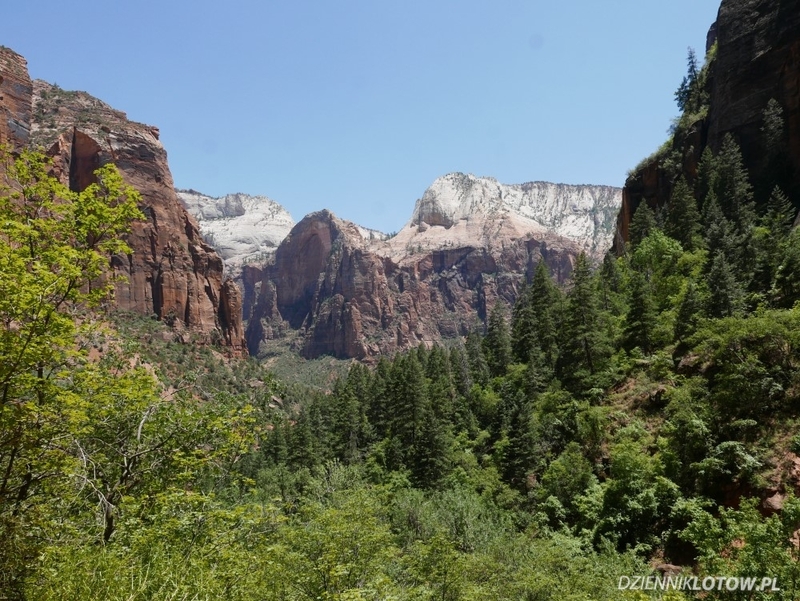 In the Zion Canyon you are not allowed to drive, at least not in summer. Instead, you need to leave your car at a free, public parking and take a park shuttle. Shuttles run quite often and I never needed to wait for it for more than 10 minutes. They stop at several points, close to most popular park attractions. From shuttle stops you can usually reach nearby attractions in short walks. 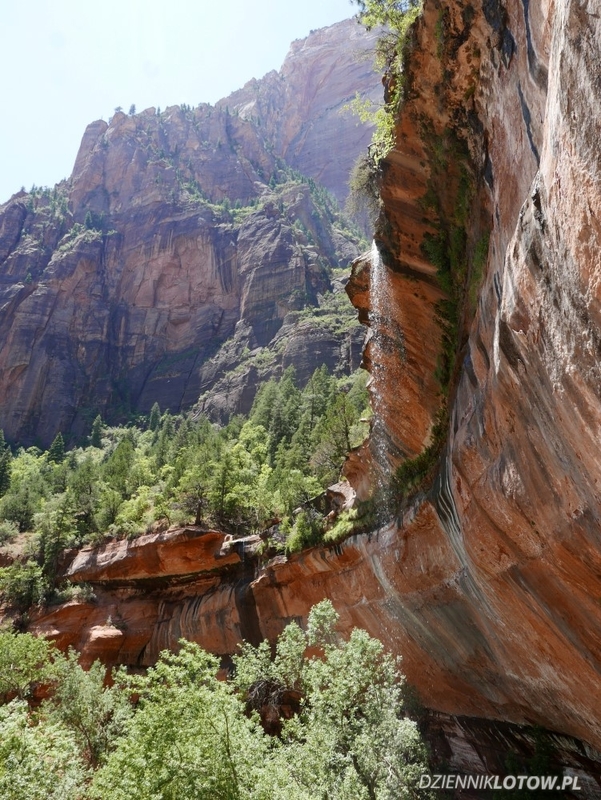 First, I stopped at the Zion Lodge and made a hike to Emerald’s Pools. It takes maximum 2 hours both ways. If you have limited time or are not fit enough you can easily skip the Upper pool (last one). It’s much less spectacular than the Lower Pool and also harder to reach. The hike to the lower pool is very easy and accessible to anyone. From Zion Lodge I drove up the canyon to the Weeping Rock, which you can reach after 10 minute hike uphill. From there I took a shuttle to the last stop – Temple of Sinawava. 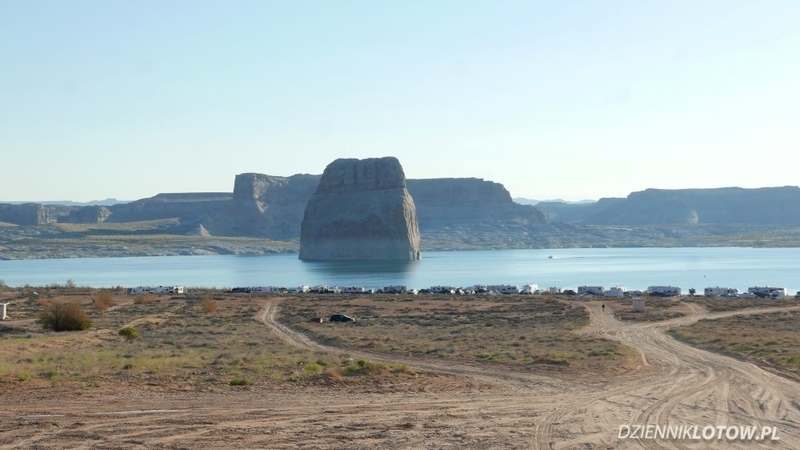 This is an entry point to park’s best attraction – the Narrows. The Narrows is a place in canyon when its walls get closer together and are very steep. There is no actual trail there – instead you need to walk in the river, usually knee deep. 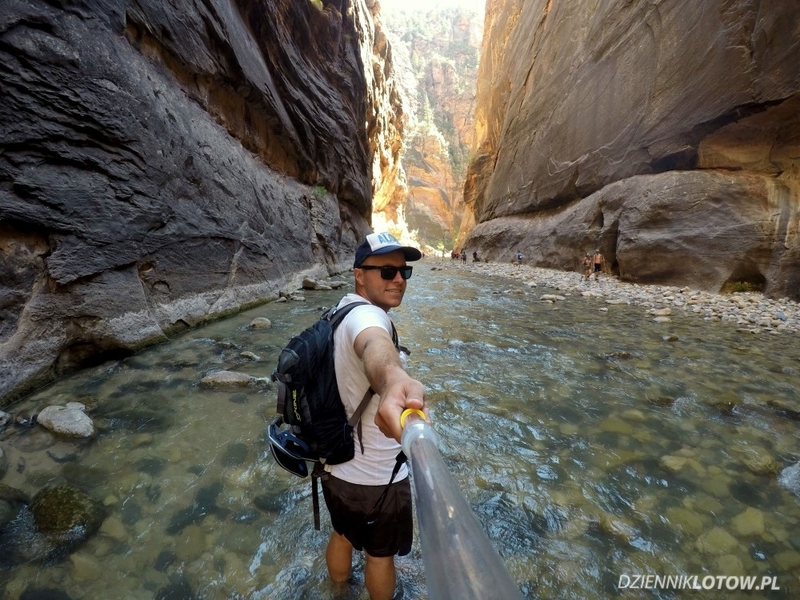 Tourists are allowed to hike up the canyon only on sunny days, when there is no risk of flash floods. Any chance of rain makes this hike much more dangerous because of that. There is no other way back, so you need to decide on your own when to stop and start your return. Since I didn’t have a tent I decided to sleep in the back of my car. This my morning view. Next day started early with first sunshine. After a hearty breakfast in Page I drove a couple of miles to the Lower Antelope Canyon. I did book a tour for 9:30, which, according to internet, should be a good hour to visit. 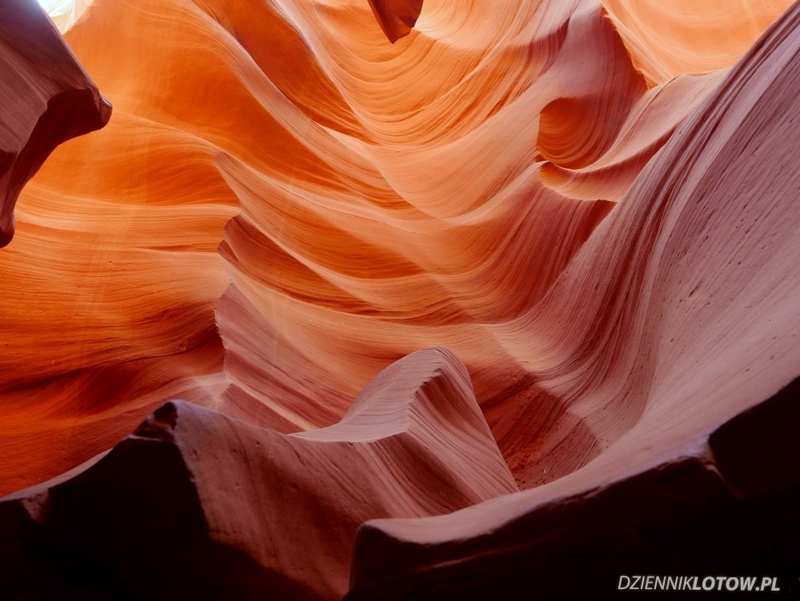 If you plan this trip a long time ahead you can try to book a tour in the Upper Antelope Canyon instead. 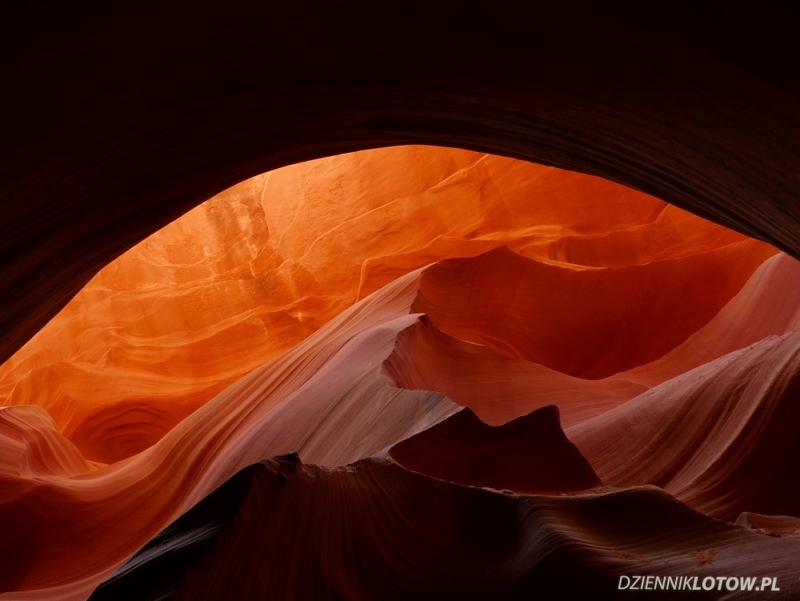 The Lower canyon seems more intimate, while the Upper offers world-famous light beams. After the Antelope Canyon tour I headed back to Page to visit the Horseshoe Bend. You need to leave your car at the parking lot and hike 15-30 minutes to reach to the canyon rim to see the bend. Trust us – the view it’s worth the effort! 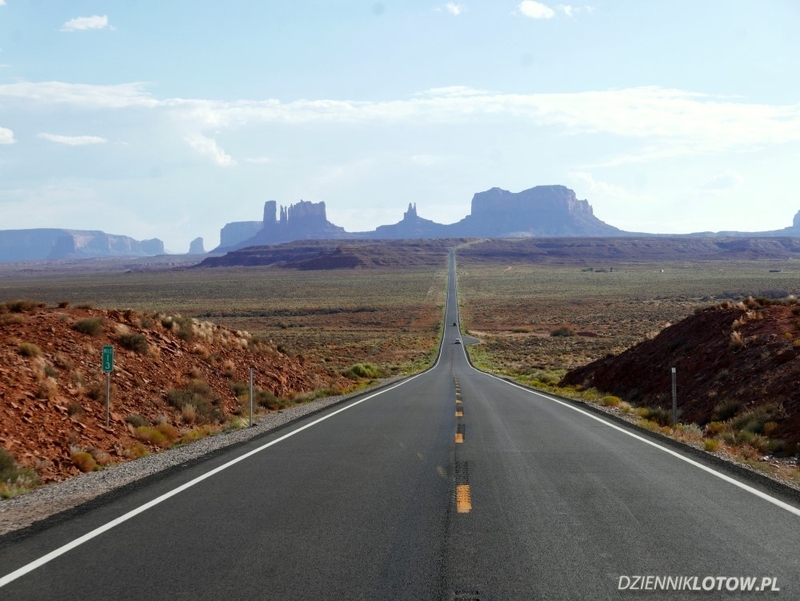 From the HSB I drove further east to finally reach the Monument Valley. Views along the road 163 are spectacular, even without entering the park. 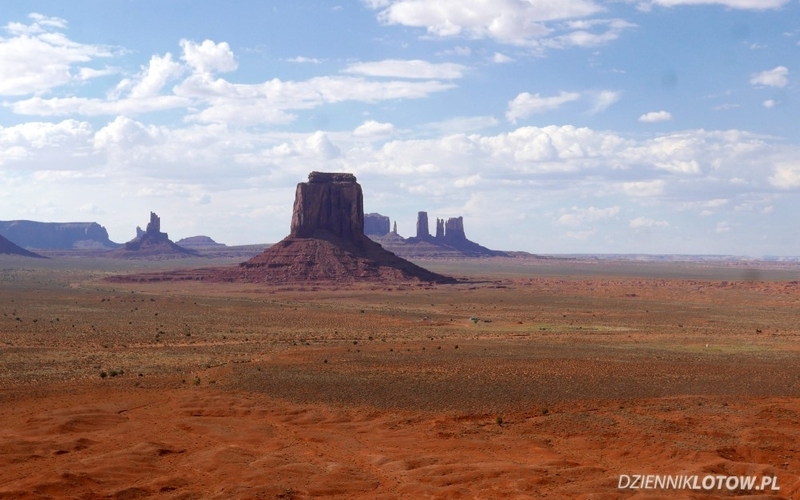 I recommend however to take a short de-tour drive to the Monument Valley visitor center. 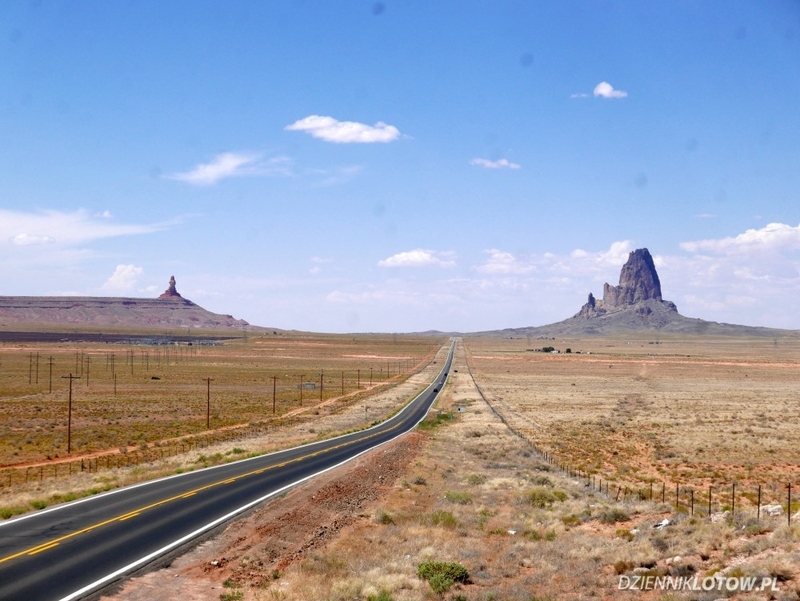 From there you can take a dirty road (around 17 miles loop) to admire these great monuments from a closer distance. However, be aware, that if you are driving a rental car, you are not allowed leave a paved road, so there would be a risk involved. If you want to avoid any possible troubles or simply don’t have enough time don’t worry – the view from the visitors center parking lot is actually the best. From MV I drove north to Moab, where I stayed for a night a private campground in the middle of the city. We drove all the way to Moab to visit the Arches national park. The Delicate Arche seems to be one of state’s symbols and I really wanted to see it. The park itself seems pretty small. You can drive through it in 15 minutes at slow paste. On the way you can stop at several viewpoints and take some short hikes. I started with the Delicate Arche hike, which takes about 2h both ways. The arch is best to be viewed late afternoon, when the sun warms up its colors, but I didn’t have a choice and went to see it early in the morning to avoid mid-day heat. 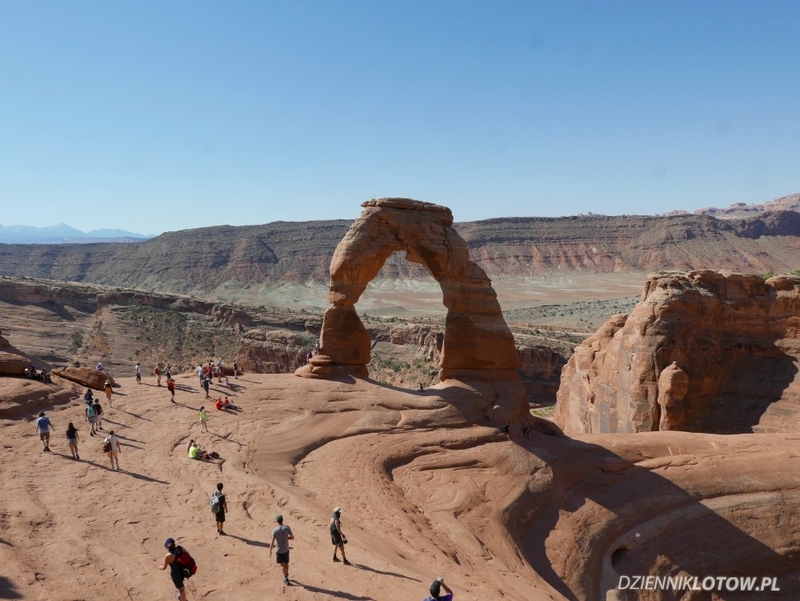 We also took a shorter, 20 minute hike to the Delicate Arch Viewpoint, from where you can admire the arch from a different perspective. 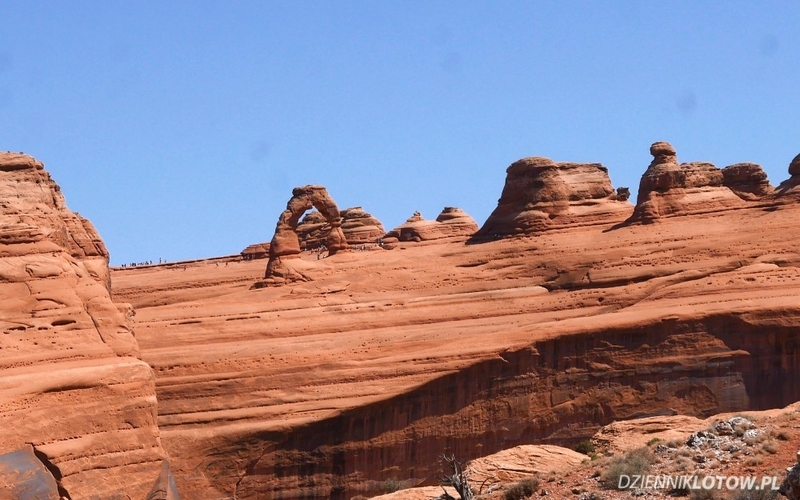 Next on my way was Devil’s Garden and the Landscape Arch. This arch has a length of a football field and seems very fragile. It’s actually my favorite one in the park. 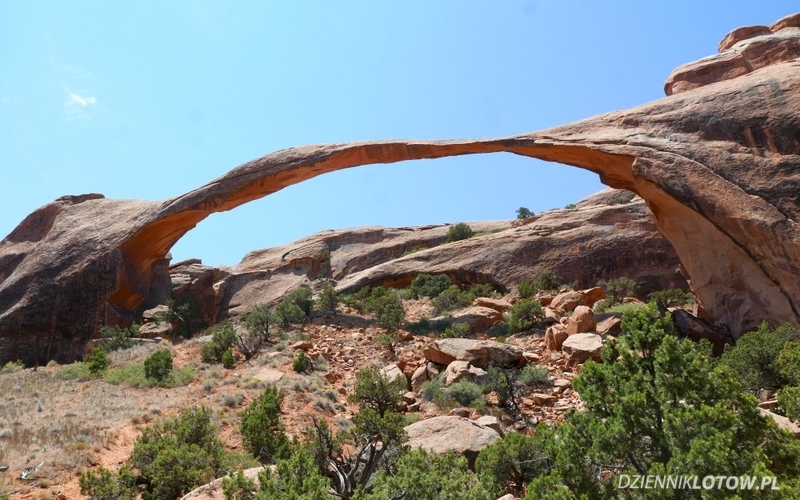 The hike to the Landscape Arch is very easy and takes about 1.5h, but you can also take a longer and more demanding route if you prefer. At the end I drove to the Windows Section, where you can admire multiple arches in a single place. You can walk around these windows on designated paths. These hikes are very easy and don’t take much time. Another night in the car – enjoying it a lot! On the last day of my trip I visited the Bryce National Park. Bryce is a nice park where you can drive in a car or shuttle along the canyon and hop off and on at different viewpoints. 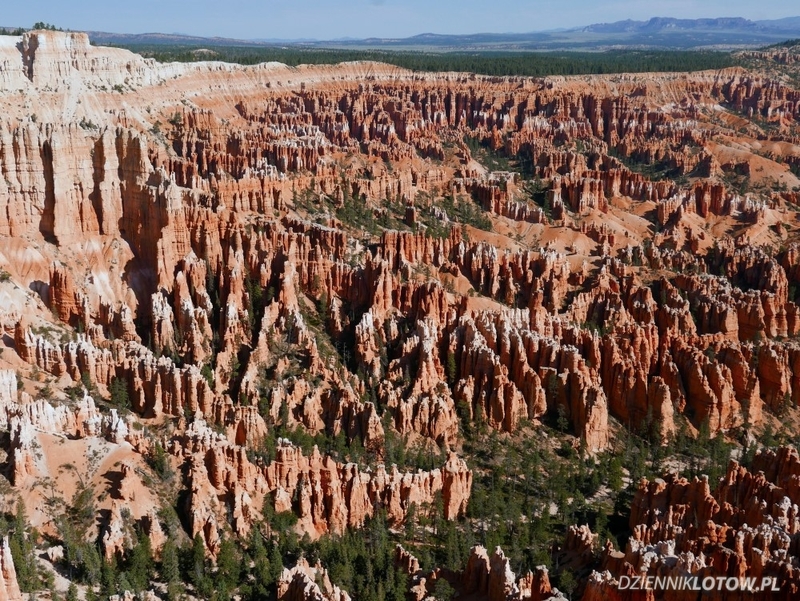 You can also leave a car at 1 point, hike along the rim and come back by shuttle. There are also several trails leading through the bottom of the canyon. 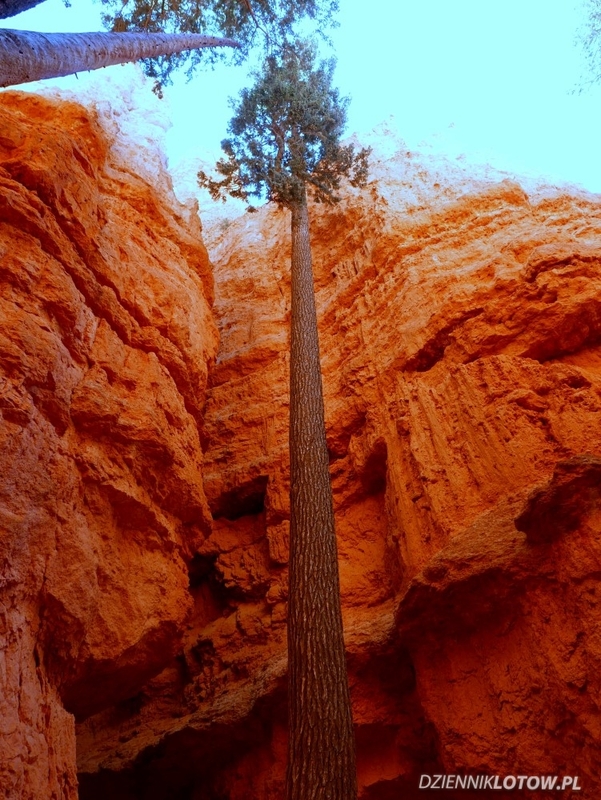 The most known is the Navajo Loop trail, which I took. You walk down a steep path between rocky spikes and you are covered in deep, cooling shadows half off the way. The part where spikes get even steeper is called the Wall Street (due to similarity to skyscrapers I guess), where you can admire lonely pine trees. The hike is theoretically only 2 miles long, but it takes a minimum 1h to complete it because of the terrain. 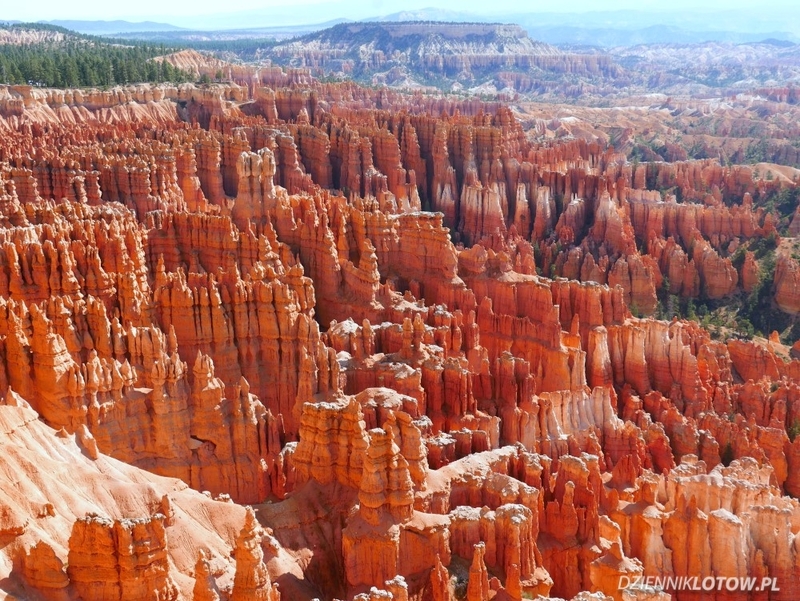 From the Bryce Canyon I headed back to Las Vegas. 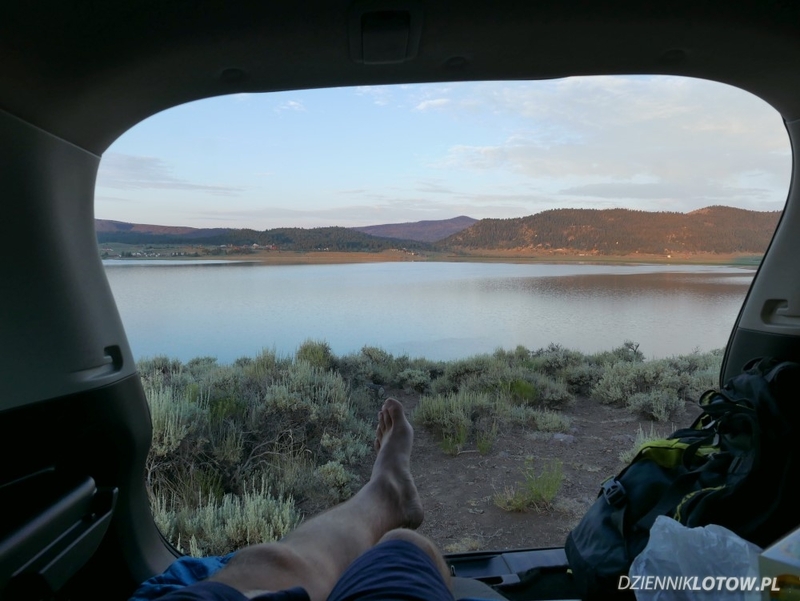 I intentionally drove back through The Zion-Mount Carmel Tunnel, so I could stop at the river in the Zion park again and relax for a while in its refreshing water. The park entry ticket was still valid. After the swim I drove directly to Las Vegas, where I reached late afternoon. What a trip it was! 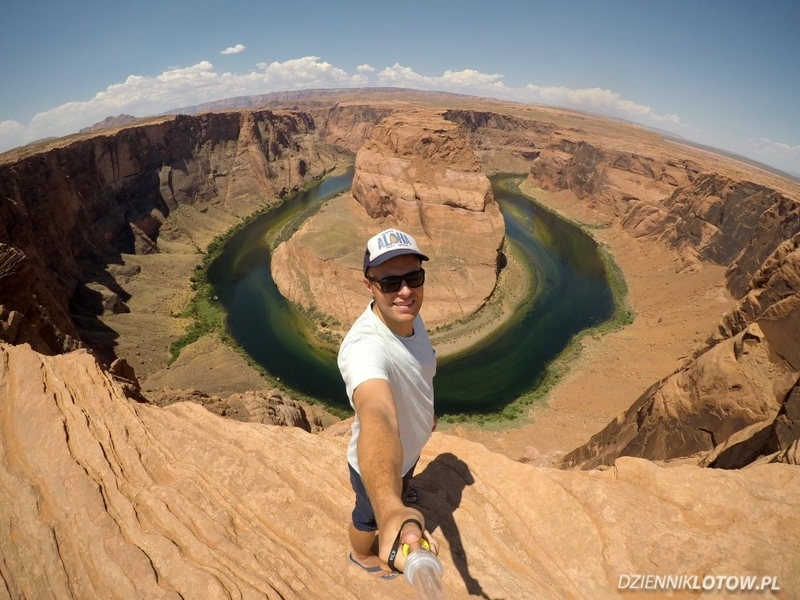 This entry was posted in Travel and tagged antelope cannyon, arches, bryce, horseshoe bend, lake powell, monument valley, zion by admin. Bookmark the permalink.